Ok, so you have decided to look at Home Care agencies. This may be for you or for a member of your family, but as with all things these days, it isn’t always straightforward. We have taken a list of the top questions you should ask and suggest you have it to hand (or download it) when talking to agencies. Rather cunningly, we thought we would add our responses to these questions as well so that you have a comparison. Can you provide the care that I need and meet my personal preferences? How will you and your staff respect my privacy and dignity? Have you cared for someone with similar needs to mine? How will you match the most suitable carer for my needs? Would it be the same carers every time? Can I meet my carer(s) before they start working with me? What are your recruiting procedures? Are you required to register with a statutory regulator and if so, are you currently registered? Is your organisation insured in order to protect my safety and interests? Is your organisation a member of UK Home Care Association? Do you have a standard contract that I can read before signing? Can I contact your agency during the day, outside office hours and in an emergency? What charges, if any, will I be expected to pay? What payment methods are available (cheque, direct debit etc)? Is there a minimum charge if I only need a small amount of care? Yes! We work differently to most other agencies in that our Caregivers work with only one or two clients. This means they are focussed on you and have your wellbeing at the front of all they do. We are not task-driven but work to your requirements every day, which means if you decide you would like a change we are flexible enough to support you. We have very strict rules about personal and sensitive information and will never disclose data without your express permission. Our Caregivers have had thorough training in providing home care and all of them understand how to support your privacy and dignity. Almost certainly, but we remember that everyone has unique needs. We have a depth of experience in working with people who have lived active lives as well as people who have long-term health conditions. Our Caregivers undergo an extensive interview and induction process that lasts about four days. During this time, we come to know them very well and understand their likes and preferences, hobbies and interests. We use this knowledge and the information you provide during your initial consultation with our Care Manager, to provide the most suitable person to work with you. Yes! Allowing for sickness and holidays, your Caregivers are assigned to you for as long as you would like. In event of absences, a second Caregiver may be introduced but you will always know who is arriving! Of course! All of our Caregivers are personally introduced to you by the Care Manager and will spend time getting to know you prior to visiting you. Our Caregivers are required to provide six references before attending our four day induction/assessment course. They are required to have current DBS (Police) checks and be prepared to update their skills regularly. Most of our Caregivers have specialist qualifications in subjects such as medication or long-term conditions. Yes. We are registered with the Care Quality Commission (CQC), the statutory regulator for health and care organisations in the UK, who inspect us to ensure the care we provide is safe, appropriate and effective. All home care agencies that provide ‘personal’ care (washing, dressing etc) are required to register with CQC. You can view our latest inspection report on our website. Yes. We hold £10,000,000 liability insurance for our clients as well as our employees. 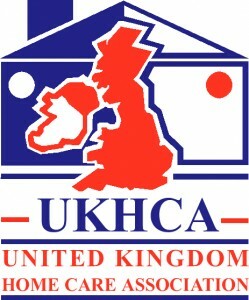 Yes, we uphold the UKHCA Codes of Practice which are designed to ensure agencies provide the highest quality of care. 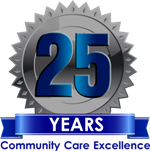 The Codes of Practice define the standards we work to, our commitment to you and the welfare of our Caregivers. Yes. Once our Care Manager has visited you to assess your requirements, you are welcome to peruse the contract at your leisure with no further obligation to take up a service. Yes. We are on-call 24hrs a day, every day of the year. If your call is non-urgent, we ask you to contact us between 9am and 5pm Monday to Friday, but we understand this isn’t always possible. Our charges are clearly laid out in our Rates Sheet (please ask for a copy) and detail the hourly charge for your service. The only additional payment you might incur is if you ask your Caregiver to take you out in their vehicle. Other than your hourly charge and any travel charge, there are no hidden costs and no VAT. We have Direct Debit facilities if you wish, or you can pay by BACS (direct bank transfer), cheque or by card. Yes there is; our minimum charge is equivalent to just two hours of care per week. All resources on this website protected against malware by SiteLock Guarantee – download with confidence! This list is just the starting point, but we hope it will give you the knowledge to source the correct care for you or your family in the confidence that you have asked the right questions at the outset. If you have any queries or think we have missed something important out please let us know. 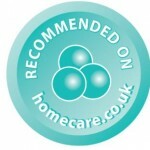 Inchwater Home Care shared a photo. To celebrate Lisa’s birthday this weekend, some of the office staff were challenged to escape the scary World Fair hotel. One of the great rooms at Get lost, Dover. With Maddie leading the way, Maria breaking health and safety rules and Jack supervising us all, you will be glad to know we made it and were back in the office for work this morning.